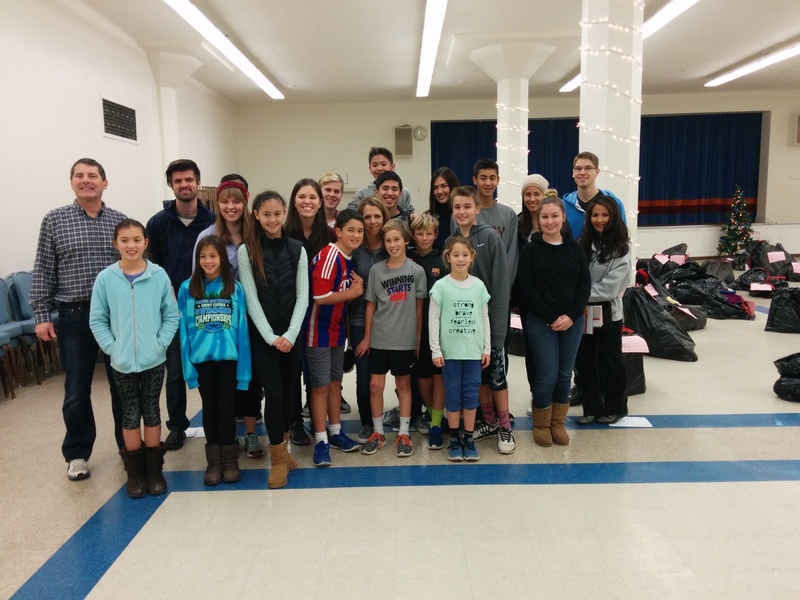 Each Holiday season, UDFB partners with University Village for their Winter Wishes program. Food bank customers fill out wish lists for their children written on tags, which are hung on trees at U-Village. 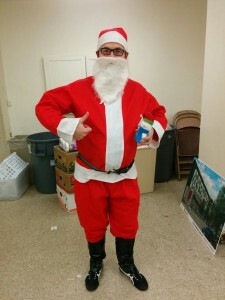 Individuals then select a tag and purchase the items, which are picked up by the food bank and distributed to families the day before Christmas Eve. This year, we received gifts for 75 families. Each year, the Therriens rally volunteers, mostly family friends, to help organize and distribute gifts to food bank customers. This years’ group was the largest yet, with over 20 volunteers. 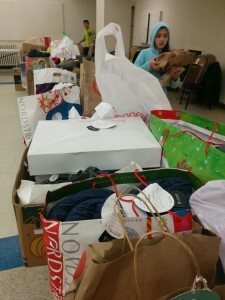 Volunteers enthusiastically moved throughout the UCC Social Hall, matching gifts with their respective wish lists, distributing other donated items such as hand-knitted hats, gloves, and scarves, bagging them up, and retrieving bags when their owners arrived to claim them. Elise Graue has been volunteering for Winter Wishes with her family for five years. “My favorite part is when the families arrive and we’re able to see their joy when they receive the gifts, and the impact we’re making,” she says. We’d like to extend our heartfelt gratitude to all who fulfilled Winter Wishes gift requests, the Therrien family, and their team of volunteers for helping the distribution run smoothly. 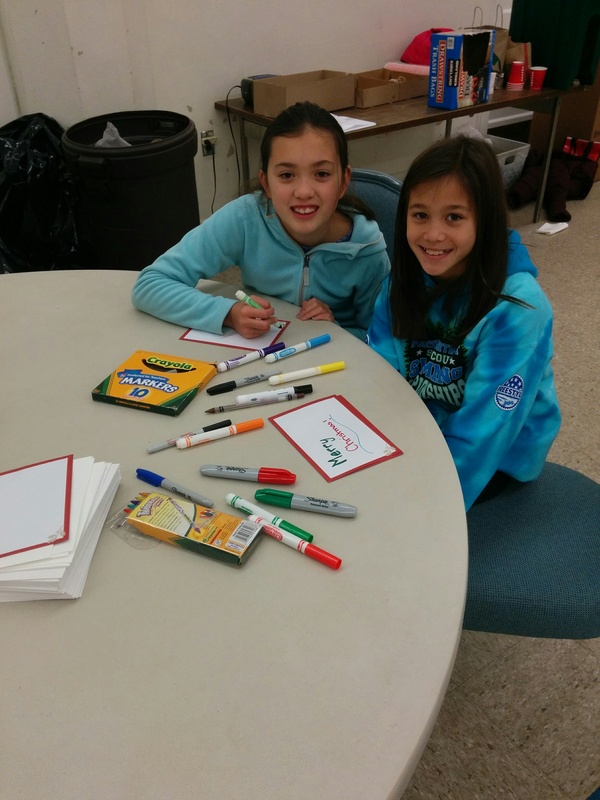 Thank you for bringing some holiday joy to food bank kids this season. Happy holidays! Home Delivery is one of our fastest growing programs at UDFB. The program began in 2010 to serve those in our community unable to access the food bank due to advancing age, medical condition, or physical disability. Participation in Home Delivery has doubled over the past three years. 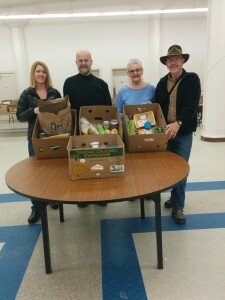 Thanks to our amazing volunteer drivers, we now serve 85 households on six different routes, delivering an estimated 1,400 pounds of food per week to our homebound customers in Northeast Seattle. 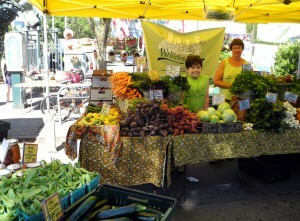 Will has been on Home Delivery for three years. 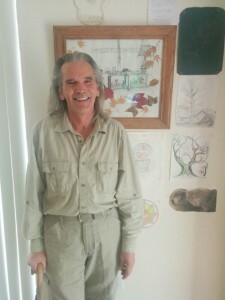 He lives in low-income housing and has a limited budget to spend on food, in addition to medical problems that make it difficult for him to access a grocery store or food bank. When I asked Will how UDFB has affected his life, he responded, “Home Delivery makes Wednesdays important. I focus on prepping and storing the food I receive, and then planning out how I’ll use items throughout the week.” Like many of our customers, Will is resourceful in finding recipes for some of the less glamorous vegetables. When he received kohlrabi in his box, he researched recipes and found simple, versatile ways to prepare it. “Having food delivered has been a godsend,” he says. Randy has been on Home Delivery for about a year. 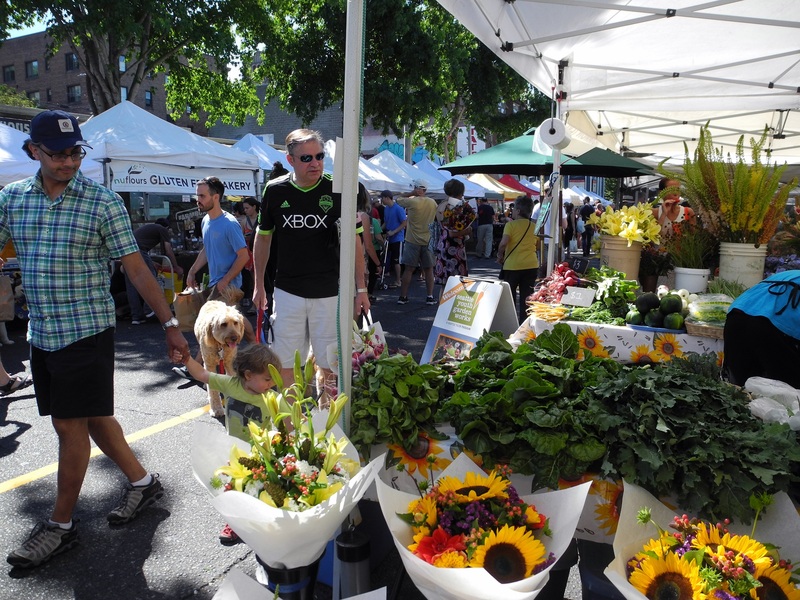 Randy is a disabled veteran who moved to Seattle from New Orleans five years ago. Randy stays true to his Cajun heritage through his love of cooking. As a participant in Cooking Matters classes through Solid Ground, Randy taught his peers how to make seafood jambalaya and gumbo. Robyn asked if I would consider guest blogging about a visionary benefit house party we both attended a few weeks back. 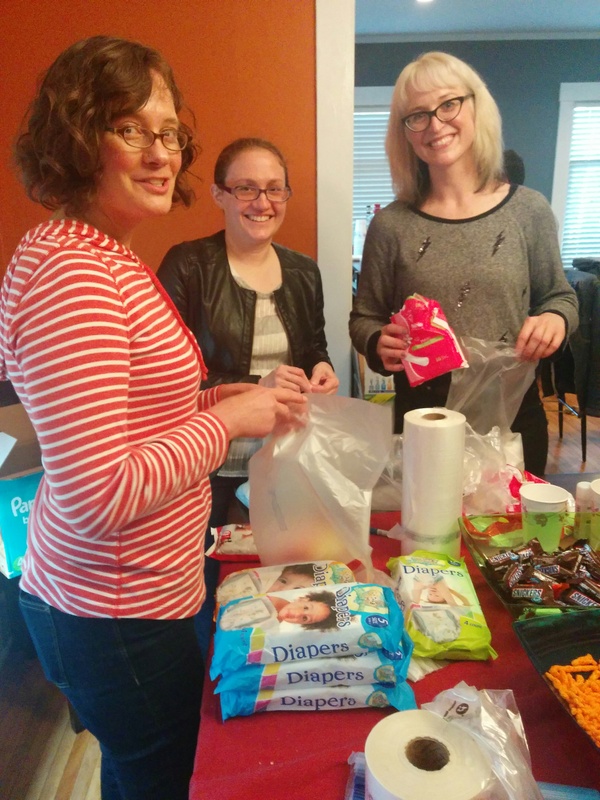 This particular event was a first for UDFB – a volunteer coordinated drive for feminine hygiene and baby products that coincided with an open community repack party hosted by two of our community members. Adela and Mern were disheartened after reading a recent article written by Eleanor Goldberg for the Huffington Post, which exposes the heartbreaking difficulties facing homeless women each month. In her article, Goldberg points out, “The fact that menstruation is a taboo topic to begin with, means that people who are able [to] help, often aren’t even aware that such a vast need exists.” In response, Marian and Adela reached out, inspiring over 30 people to donate and repack tampons, pads, menstrual cups, and larger sized diapers! 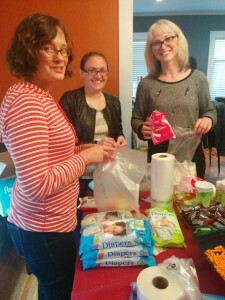 They even had baby wipes to add to each package of diapers and unused make-up, tooth brushes and toothpaste to add to the feminine hygiene bundles. At UDFB, feminine hygiene products are highly sought after and are a rare donation. Customers often quietly scan the shelves behind our check out stations for signs that we might have pads or tampons before quietly requesting them for themselves or family members. 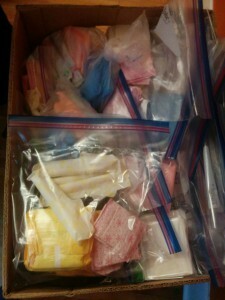 Relief is clear when we have items to provide. Thanks to Adela, Mern and all of the donors and volunteers who participated in their event, our shelves were stocked throughout the month of October, and we expect, will remain so well into November. Our gratitude runs deep. People who see a need and take action keep our doors open, our shelves stocked, and our hearts full. Thank you Adela, Mern and our incredible community of supporters for all you do for UDFB each and every day. We couldn’t do this work without you. 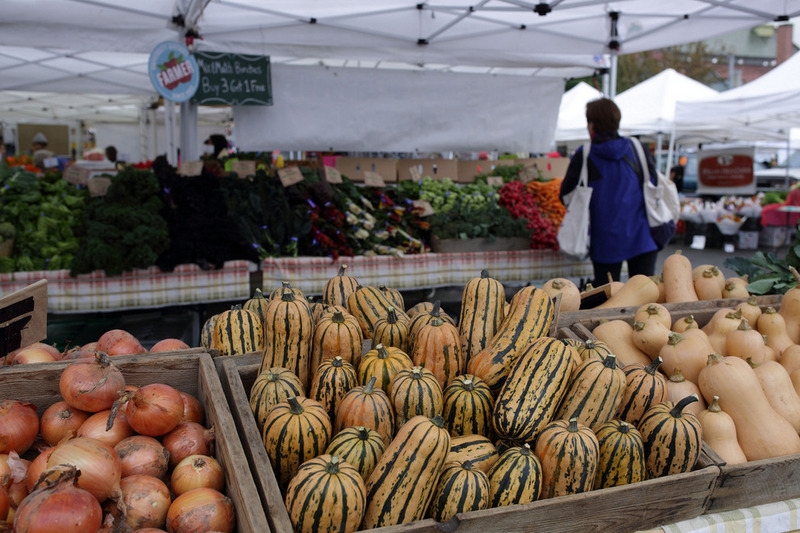 Fall is upon us, and for me, there is no better time to cook seasonally and resourcefully. As we begin receiving large quantities of fresh vegetables through our purchasing contract with a local farm (see previous blog post), we’ve distributed a couple new recipe cards both in the food bank and in our Home Delivery boxes to give folks some inspiration about using these veggies in simple, versatile ways. 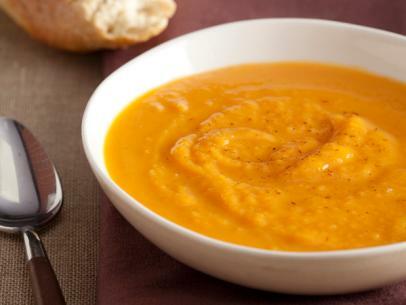 This soup is full of sweet, hearty winter squash and veggies that are staples in the food bank like potatoes, carrots, and onions. 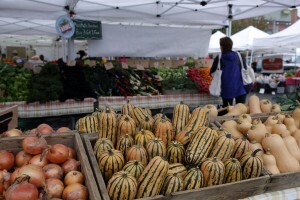 Buttercup squash is also delicious cut in half, filled with diced apples and cinnamon, and roasted. 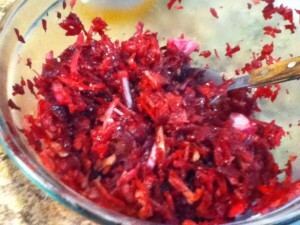 In a large pot, melt butter and cook onions until tender. Stir in carrots and jalapeno, toss to coat. Stir in chopped squash. Pour in chicken stock and bring to a summer. Simmer for 30 minutes until vegetables are tender. Return to pot and stir in cream. Season to taste. This slaw uses broccoli stalks instead of florets for extra crunch. The recipe is very flexible and can be made with any of your favorite crunchy vegetable such as carrots, cabbage, kohlrabi, or jicama. For those wary of raw beets, you can roast them in advance before grating! 3. Chill in fridge at least 1 hour before serving.